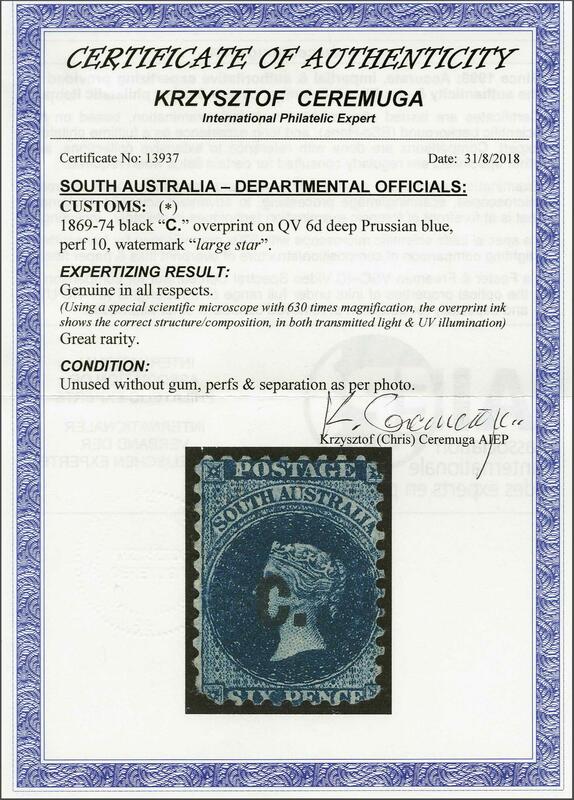 Customs 1869/74: Overprinted "C." in black, on 6 d. deep Prussian blue, wmk. Large Star, perf. 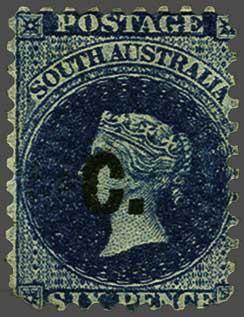 10, an unused example of rich colour, rounded lower left corner, unused without gum. Butler unrecorded unused. Cert. Ceremuga (2018).